Rina Veraiin has youth, beauty, and strength. She is a born warrior, able to outride any man, deal death with her fierce blade, and command awesome and mysterious forces granted to her by a set of magical tattoos. 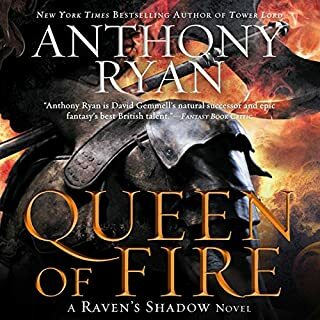 Now as the newly minted duchess of Klaar, Rina confronts a menace that threatens her world in a divine conflict that will push her newfound abilities to their limits. I was torn by the time I finished the first book but I'm glad I read the second. Not fully in love with the series but I believe I will see it to the end. I finished the book but I wasn't sure that I would. 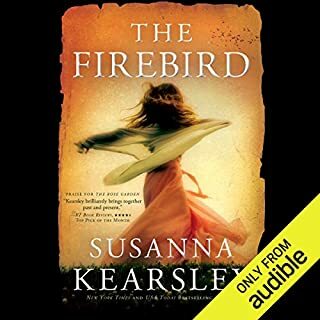 The concept was interesting and the characters are likeable but the paced was a bit off for me while at the same time it appeared that the consequences are still left to be felt for all that occurred. It is likely that I will give book 2 a try and decide from there. On the third book, stories lost the cohesion that they shared during Blood Song. I still prefer the narration from each of the main characters point of view since the Vailin's narration in the first book was not my favorite. It is an end to the book but it seems more disorganized and with less essence or significance than in the first book. No real rhyme or reason why the events of the second book happen except for making Vailin depend on others instead of just making a finish himself. It Was A Good Read!! I must confess that I can't listen to Tavia Gilbert without thinking of the night huntress series. My major sticking point with the story is the religious aspect which I typically like to stay away when reading for fun. So although I got thru the story quickly and overall I enjoyed it and will not pursue the rest of the series. I'll stick with the night huntress series. 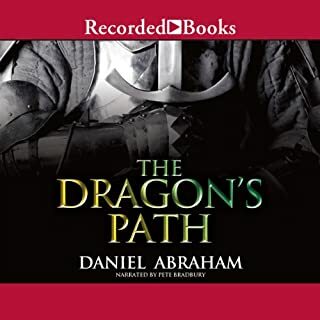 Popular author Daniel Abraham’s works have been nominated for the Hugo Award and the World Fantasy Award. In The Dragon’s Path, former soldier Marcus is now a mercenary—but he wants nothing to do with the coming war. 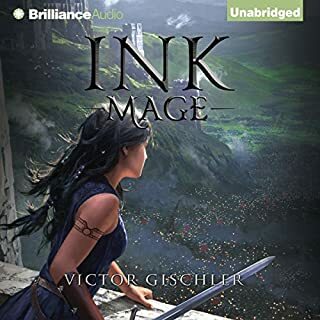 So instead of fighting, he elects to guard a caravan carrying the wealth of a nation out of the war zone—with the assistance of an unusual orphan girl named Cithrin. Great performance but the story is not for me! This book was not my cup of tea. 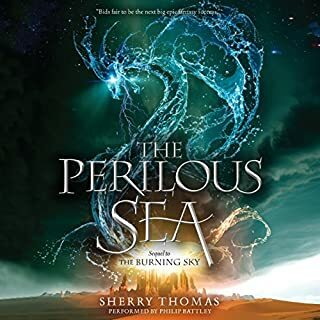 I couldn't identify with the characters (didn't care for any of them), it took me a while to get used to the jumping around and I can already see where it leads to more political intrigue, corruption, religion all topics that I stay away from while reading for fun. I will not pursue the story any further - I want magic, adventure, thrill... I have enough drama and politics at work. Hold onto your staff; Harry’s back. 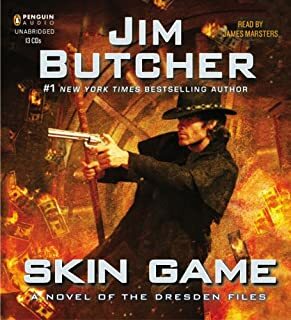 Although I'm not particularly crazy about the first two dresden files book I have to admit that I love skin game. It further developed many of the main characters, it didn't fail to captivate with its action and ending and it expanded the story more than I could have imagined. I'm sorry I have to now wait for the next one but reading all the books was a lot of fun that I will re-read in the near future. After spending the summer away from each other, Titus and Iolanthe (still disguised as Archer Fairfax) are eager to return to Eton College to resume their training to fight the Bane. Although no longer bound to Titus by blood oath, Iolanthe is more committed than ever to fulfilling her destiny - especially with the agents of Atlantis quickly closing in. Soon after arriving at school, though, Titus makes a shocking discovery, one that throws into question everything he believed about their mission. I was anxiously awaiting this sequel. It took me quiet a bit to get into the back and forward flow of the book and although it was somewhat predictable it was no less enjoyable. There were nice surprises, characters coming into their elements and some twists to the story. Book was lighthearted, fun and entertaining. Not sure that I could go through the flashing forward and back again. 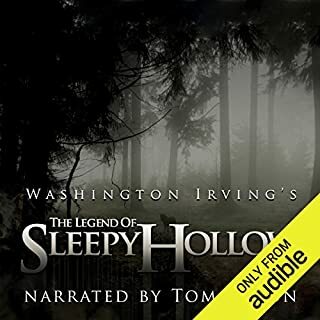 I was enthralled by the narration by Tom Mison. I felt like I was in a period movie and a gentlemen was gracing me by reading a story. With Halloween approaching it was fun to read the Legend of Sleepy Hollow, although is a lot less scary now that I'm all grown up. A stepping stone to the final confrontation! 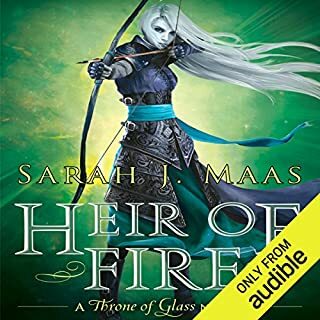 Heir of Fire is the continuation of the throne of glass series. I started the book thinking this was the final episode and was surprised to find that it is not. 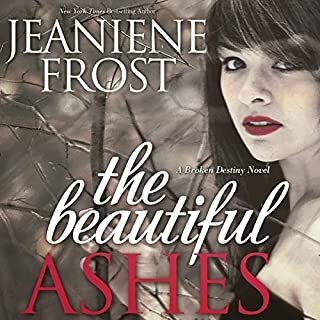 This was a beautiful story about forgiveness, growth, loyalty and friendship, empathy ... About acknowledging your mistakes and owing up to the consequences of your actions - and finally about the power of choice and hope to rebuild, remake your story and make yourself the type of person you want to become one choice at a time. The story was enthralling, fast paced and entertaining and now I'm just sad about the wait until we meet again. Nicola Marter was born with a gift. When she touches an object, she sometimes glimpses those who have owned it before. When a woman arrives with a small wooden carving at the gallery Nicola works at, she can see the object’s history and knows that it was named after the Firebird - the mythical creature from an old Russian fable. 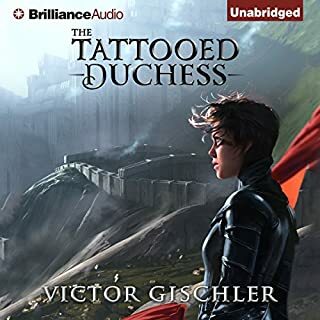 Compelled to know more, Nicola follows a young girl named Anna who leads her into the past on a quest through the glittering backdrops of the Jacobites and Russian courts, unearthing a tale of love, courage, and redemption. As with most books this days I listen to them while at work and when a book is interesting enough I read on my kindle app at home. I'm thankful for the feature because it allowed me to understand and correctly pronounced the Scottish /Irish chat. The performance immersed me in a different time and place; understanding that this is touched by actual historical characters and places makes the story even more magical. The characters are easy to like and you keep coming back so you can find out what happens with both of our heroines, Ana (from the past) and Nicola (present). The story transported me to lands and places I wish to yet explore and I can't help but realize how different the world is nowadays - less trusting, more isolated but still growing and fascinating.